There are several reasons you might have a concern about a breach in your identity or identity theft. A lost wallet, unexplained accounts on your credit reports, inexplicable transactions on a credit card; these can all give rise to very reasonable worries about fraudulent activity and identity theft. These events may be of little consequence, or they may be very serious. Either way, there are a few credit repair solutions that you should implement immediately. Credit repair solutions include investigatory, preventative and curative, and all three should be employed. If you see activity on your credit report that is not yours it could be the result of a file merging error. This means that someone else’s credit data has been mixed with yours. As spooky as this may sound, it is innocent and has an easy credit repair cure. So, before you jump to conclusions about identity theft take a little time to investigate. Get copies of all three credit reports, circle the unknown accounts, call the creditors, and ask them if they have an account in your name. If they tell you that they have no record of the suspect account you are a victim of a file merger error. This is easily cured with a little bit of credit repair. Simply write to the credit bureaus telling them that someone else’s credit is showing on your credit report, and ask them to correct the error. Be sure to provide your identification. File merger errors are surprisingly common and the credit bureaus will most likely resolve the problem for you right away. The credit bureaus respond best with snail mail. If on the other hand, the creditor acknowledges that the dubious account is yours, you may have been a victim of identity theft and should employ a more serious credit repair cure as soon as possible. The Fair Credit Reporting Act (FCRA) provides a very powerful solution for identity theft victims. You need to go the police station with a copy of your credit report and ask them to provide you with an Identity Theft Report. You will need to send this to the credit bureaus along with your identification and a signed statement affirming that the accounts in question have nothing to do with any transaction of yours. The credit bureaus will block the suspect accounts with in a few days and conduct an investigation. If you are a victim of identity theft, or are just concerned about preventing the problem from occurring there are two productive and easy credit repair solutions. The credit bureaus offer a simple warning system called a Fraud Alert. A Fraud Alert is a statement inserted into your credit report file requesting that potential lenders contact you before extending credit to you. All you need to do is ask the credit bureaus to include this statement on your credit report, provide them with a contact phone number, and you are all set. There is no fee and the alert will remain on your credit report for 90 days. After 90 days you may extend it if you please. You may also cancel it at any time if you feel that the threat has subsided. Fraud Alerts, however, are not foolproof, and some lenders may ignore the alert and extend credit regardless. An excellent ancillary credit repair solution you should implement simultaneously with your Fraud Alert is credit monitoring. Credit monitoring is a service offered by the credit bureaus which will alert you to any activity on your credit including inquiries. You can expect to pay around $20 per month for this service. If someone attempts to use your identity you will be contact in time to avert the issue. This is particularly useful if you are a frequent traveler. If you have concerns about fraudulent use of your identity you should consult a credit repair professional. Most credit repair services offer a free consultation which you should take advantage of. There may be considerations other than have been mentioned in this article, and every situation is unique. As important as your credit is you should always make informed choices. 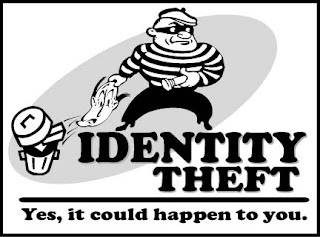 In todays world it is easy to suffer extreme turmoil if you experience identity theft so be diligent with your recovery.